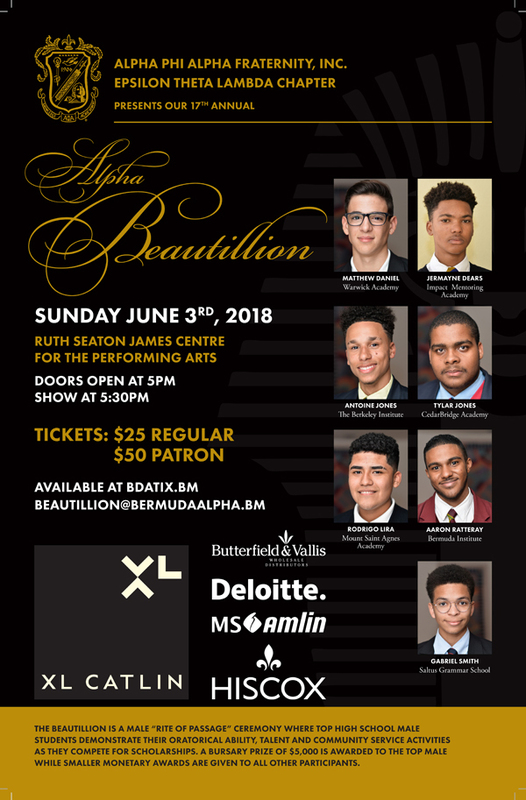 In the fourth in a series of profiles of the young men competing in this year’s Alpha Beautillion, we spotlight Jermayne Damion Dears from the Impact Mentoring Academy. Jermayne was born in Bermuda on November 24th, 2000 to Jerry-Dee and Wayne Anthony Dears. Jermayne also has a little brother, Joshua Dears, and two older stepbrothers, Zhane Burgess Dears and Wayne Burgess Dears Jr.
Jermayne began his educational journey at Warwick Academy and remained there until year 10 before moving overseas to continue his high school education at Kents Hill School in Maine. He then returned to Bermuda after two years and now currently attends Impact Mentoring Academy. From a young age, Jermayne has always been mild tempered, laid back, and a very loving child. To add to his attributes, Jermayne has matured into a fine young man and shows humility, loves to serve, and he’s very patient and kind. He is known for his athleticism and leadership potential, and he loves to travel, spend time with family and, of course, exercise his passion for basketball. Jermayne has been playing drums since the tender age of three, but started beating on anything and everything from the time he took his first step. He would carry around a pair of chopsticks everywhere he went so he could continue that beat. In 2005, little Jermayne played alongside his drumming instructor, Mr. Eddie Ming, on the stage at the Ruth Seaton James in ‘FAME’ hosted by Dale Butler – he was only four. Jermayne has been featured in the news several times for his drumming at such a young age and was known as the ‘Little Drummer Boy’. He played in Masterworks’ Concert in the Park in 2005 and on the Gene and Jean Christmas show in the same year. He has continued playing the drums throughout primary and middle school playing in the Warwick Academy Jazz band and Lab Jazz Band. Although drumming was his passion for so many years, basketball has become his go to sport where he could release any of life’s tension. He leaves it all on the court without having to say a single word. Basketball took control of Jermayne’s life and he has been in love with it ever since. He has always looked up to Stephen Curry because of his amazing shooting capabilities. Jermayne’s Coach gave him the nickname, “Downtown Jermayne Brown” because he has always been a great shooter and has gotten better over the years – watch out for those 3’s! Jermayne has represented Bermuda numerous times in basketball since trying out for the National team in 2012. He has travelled to Florida, Canada, and other places in the United States with the hopes of playing abroad professionally in the next few years. Aside from drumming and basketball, there is a compassionate side to Jermayne. In 2017, he chose to be a part of the Mirrors program because he want to better himself as a person. He attended a 6 day camp at Willowbank and his Mirrors journey began with a program designed to help young people with developing into the intelligent people we know they can be. Jermayne has a love for both animals and children. He has worked as an intern at BAMZ during the summer and has taught swimming with Aquamania since 2016. 2018 has proven to be a big year for Jermayne. He went on a mission trip to the Dominican Republic where he and his classmates assisted in building a local church. Although there the language was a barrier, he and his classmates did not hesitate to bring out the best in the children they encountered and found that happiness does not come from the material you own but from what you can give from your heart. 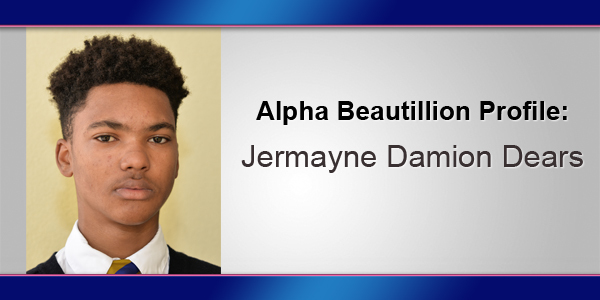 In December 2017, Jermayne was chosen to represent his school as one of the 2018 Alpha Beaus. The final competition will mark the first time Jermayne has had a pair of sticks in his hands since his father’s passing. Something he vowed he would never do. He believes it is all part of “God’s plan”.